Just about everyone has heard of forgiving and no doubt thinks we should do it, but when it comes right down to how to forgive people often are at a loss. A dear relative of mine used to say, “I can forgive, but I can’t forget.” Well, that never sounded like forgiving to me but I recognized the difficulty she was having with people who had been cruel to her. No doubt she heard someone say that once and so she thought it made sense to her and she adopted it into her philosophy of life. Is that an acceptable form of forgiving? In this article we will explore what forgiving is and offer 3 steps to forgiveness. A friend of mine once said to me that everyone has a bag of rocks they carry with them through life, and occasionally, sometimes, if they are lucky, they figure out how to drop one of them. What he meant, of course, is that we seem to hold on to the very things that cause us distress, struggle, and suffering, and they are like a heavy weight we have to bear. No one wants to be burdened carrying a bag of rocks, or the weightiness of the struggles of life, but why do we hold onto the very things we don’t want? 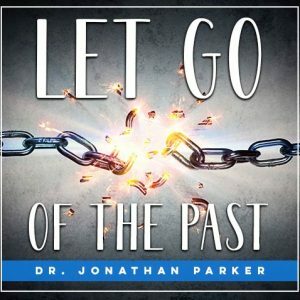 What Should We Forgive and What Are the Steps to Forgiveness? First of all, let’s discuss what is in your bag of rocks that you carry with you through your life? The “rocks” are the traits that cause suffering such as: Anger, guilt, resentment, fear, worry, criticism, grudges, distrust, regrets, judgments, blame, grief, heartache, etc. Virtually everyone gets caught from time to time by some of those reactions, and often they destroy relationships and create personal distress. There are a number of ways of coping with these types of reactions but in this article I’m going to focus on forgiving as a means of actually letting them go. Forgiveness is a form of letting go sometimes called surrender. Surrender in this case means a complete letting go of all resistance, holding on, and attachment to such things as judgment, resentment, anger, and blame. Forgiving has a beautiful quality of washing you clean and leaving you refreshed, because when you deeply forgive you dissolve the very cause and core of resentment. Where Do You Begin with Forgiving? When you think of forgiving, you probably think first of all about those who have wronged you in some way, but forgiveness is most important when used in relationship with yourself. It’s a way of wiping your slate clean and giving you a fresh start. My favorite self-forgiveness statement to start with is, “I forgive myself for not having forgiven myself.” It is so easy to hold yourself in judgment and be tough on yourself, especially when you seem to come up short of the standards you have set for yourself. So, right now, say to yourself “I forgive myself for not having forgiven myself.” You’ll notice it feels good to say that. Furthermore, once you forgive yourself of whatever burden you have been carrying, you will find it so much easier to forgive others because forgiving opens your heart to bring healing to your relationship with the other person as well as yourself. It does this by first reconnecting you with your own heart and it brings openness, receptivity, reconnection, and freedom from the burden. So it’s a way for you to experience a refreshing awakening to a new life with no baggage. Before you can experience deep forgiveness, you must explore what you are holding onto that you need to let go of. What is it that blocks entrance into the spaciousness of your heart? Usually it is a form of resentment, guilt, or blame with one feeling leading to another, and another, and another. For instance, frustration held over time incubates and grows into resentment which then becomes anger, which can lead to hatred and revenge. Over time it can settle into a long-held grudge and bitterness. There can also be self-justification and self-righteousness, along with feelings of mistrust, blame & futility. And, to top it off, you can then feel guilty over all of this. It’s all quite an amazing process which usually happens without even giving much thought to how it happens, and before you know it, you are out of control with it…in other words, it controls you! In either case of not forgiving another or yourself you want to search within your consciousness deeper and deeper for any position that judges a wrong doing. Where do you judge yourself wrong or lacking? You must begin with self-forgiveness, for if you cannot forgive yourself, you are not likely to be successful forgiving anyone else. What if the Reaction is Justified? Recognize that consciously you may think what you did is justified. You may even think you don’t need forgiving, but if there is a part of your consciousness that finds what you have done in violation of any inner code or belief (even a subconscious one), you will perpetuate guilt and its natural consequences. The bottom line is that forgiveness works, whether it is directed toward someone else or yourself. So the first step is to determine on what specific issue do you need to forgive and release yourself. Discern the inner voices of judgment, criticism, and blame. I’d like you to think about this a bit. What is there about yourself that is not what you would like it to be? It could be a trait as well as something you said or did. It could be a lack of a forgiving attitude toward someone else. What would you like changed in your inner worlds? Identify another person with whom you have an issue. Is there anyone in your life now or in the past with whom you have anything unresolved? Consider that even if you think you have resolved it, if there was ever a point of contention or resentment with someone, you may want to explore your inner space with them to see if you are truly, deeply clear. You need to affirm the willingness and intention to forgive yourself and let it go. This needs to be done sincerely and from the heart. The backdrop needed for all of this procedure is a willingness to forgive. You need the intention to forgive and let go of yourself and anyone else. What if The Person Did Something Terrible? Forgiveness doesn’t mean condoning, and it doesn’t mean you become a door mat. It doesn’t mean the person gets off Scot free. It means you do, because forgiveness means you have decided to release any resentment, fear, or guilt. Forgiving means you recognize you are responsible only for yourself and not anyone else. 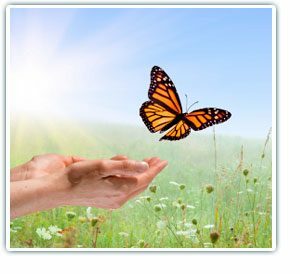 Forgiveness also helps you recognize you can let go of the judgments you hold about yourself. The object of forgiveness might be yourself for something you said or did, or even an aspect of your personality. Bring your attention to your heart and soul center area in the center of your chest. Declare to yourself your desire and intention to open your heart to forgiveness so that you may feel free, and your life be made lighter. You can repeat these affirmations with regard to anyone else in your life who has caused you a problem. 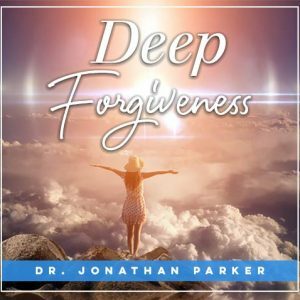 There is also a 6+ hour audio program titled, “Deep Forgiveness” that goes much deeper into an explanation of the forgiveness process and actually leads you through guided meditative sessions on forgiveness.